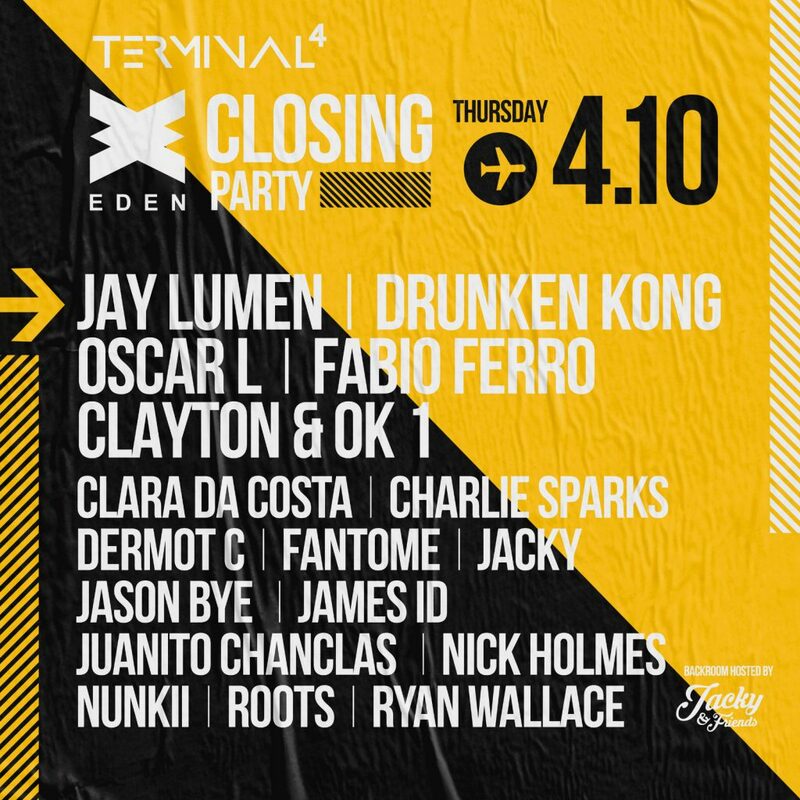 Thursday 4th October, Techno brand Terminal4 take over Eden for this momentous seasons closing party. 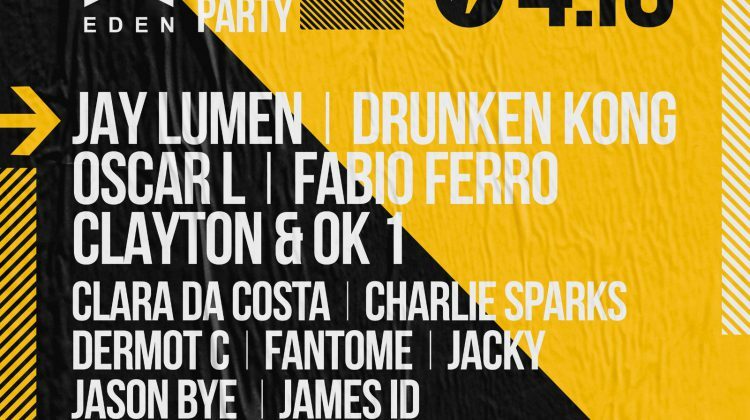 Following on from a string of successful parties on the white isle, they step up onto the global stage to make some noise with yet ANOTHER mind-blowing line up. Staying true to their theme of fusing established artists together with fresh, up and coming talent within the underground techno scene. This line up is meticulously selected to deliver another episode of unadulterated techno. 2018 was the year that Terminal 4 departed from the London scene and started sending frequencies overseas. Taking Ibiza by surprise with a SOLD OUT debut show at Eden, the guys made an authoritative statement and Terminal 4 is slowly evolving and becoming a well known brand within the Electronic music world. ‘Terminal 4 Presents Eden Closing party includes some of the world’s biggest electronic artists & is set to be an unbelievable party one again in Eden. Next Eden Ibiza showcases some of the white isles stalwarts alongside some of 2018’s break through artists hosted by the enigmatic Jacky famed for some amazing sets at Defected in Eden this year! !